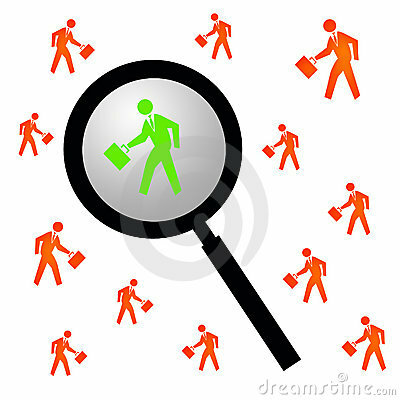 Start-ups and many small to medium sized companies often think that costs can be saved by hiring poor to average quality candidates, thereby being able to get the adequate “number” of manpower and be able to scale up while keeping salary expenses down. However, what many of them fail to realize is, that for every average, lower salaried hire, either they or someone from the top team is, indirectly contributing a part of themselves to that new hire’s role. Because the average candidate will not be pro-active, determined, or have the fire in her or him to do that little bit extra, or for that matter, even just do what is expected, in the right way. They would need to have a baby-sitter to constantly monitor them and keep checking if they are on track from time to time. More often than not, you would be thinking of their action plan and communicating it to them, instead of them thinking of the best solution and suggesting options to you. So, with each new ‘average’ hire, not only do you compromise on the tasks you assign to them, but your company too gets lesser and lesser of you, since increasingly greater portion of your time and efforts start getting diverted to managing your ‘average’ team’s planning and execution. Instead, spending more to get a ‘better than average’ dynamic and enthusiastic hire will not only leave you with more time and less tensions/ responsibilities towards them, but they will also contribute in terms of figuring out better/smarter/ cost-effective ways to doing things, thus taking the business forward. Another way the business would tend to grow multi-fold with such hires is, that you start thinking bigger, thinking more, to keeping such capable employees busy and on their toes. Because they can. Because they want to. And fueling their growth in turn, fuels your business. So, while a ‘better than average’ hire will always cost more, she or he would more often than not prove more cost-effective in the long run. 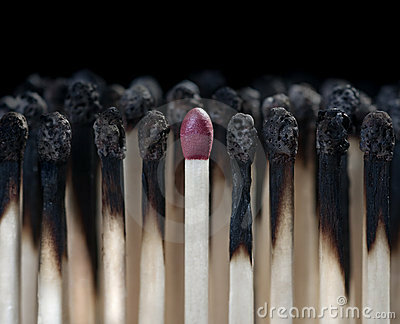 Nice pic…the matchstick one, captures the essence of this article very well. All thanks to the wide selection of free images on the web, Su.! Yes but of what use is water if you don’t know how to drink it to quench ur thirst? The fact tht u chose tht pic from the ‘wide selection’ is wht maketh the diff!